“thinking about a complicated problem in an intelligent way that includes all the important facts”. be able to build an actionable plan that can be carried out to enact positive change. Anyone who is paying the slightest attention to what is happening with Brexit and the European Union will recognize what a tragic shortage of these abilities there is, not just among confused voters but also leaders who do not even have a plan to enact a radical change they have been promoting. USA mid-term voters take heed. 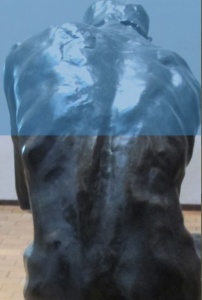 This is a sorry state of affairs for which a high price will be paid by all concerned, and as interdependencies are the main feature of our complex reality, that means a lot of people. I felt so strongly that our lives are artificially limited by our leaders’ and our own inability to think-plan-act adequately that I spent two years writing a digital business novel that has been purchased in 28 countries so far around the world. I wrote ‘The Human Constraint’ under the mentorship of acclaimed US playwright Donald Freed. The story unfolds during the financial crisis that follows 2008 and how this affects a group of people engaged in a transformation process. It charts their attempts through the crisis to transform part of an industry dominated by a zero sum game mentality with an approach based on an ethical and value-based supply chain where all stakeholders benefit. The story is accompanied along the way with an online Knowledge Base of systemic thinking processes from the Theory of Constraints. This provides additional resources for those readers who want to learn more about a method for “joined-up thinking”. The Thinking Processes from the Theory of Constraints provide a full set of solutions for a change process, from the correct identification of what needs to be changed through to designing practical steps for a robust and negative-implication-free implementation. We all have gut reactions but we are also blessed with intellect. We can strengthen that intellect through the use of a method that, with practice, become perhaps not second nature but certainly provide an expanded awareness. The solutions for thinking, analyzing and acting better in our complex times do exist. The only limitation is our self-imposed ‘human constraint’, our mental models, our willingness (or refusal) to push ourselves beyond the comfort zone that may keeps us warm until we notice too late that the comforting warmth has become an unbearable heat from which we no longer have the strength or ability to escape. As always, the choice is up to us. Our ongoing efforts at Intelligent Management to develop and promote systemic leadership thinking solutions for a more ethical and sustainable future are also funded through the sale of our books. 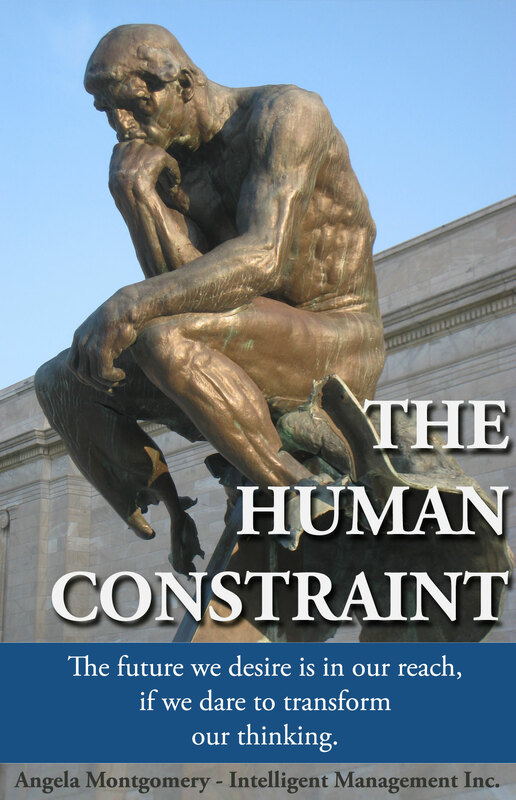 Please do download and read ’The Human Constraint’, share this post and encourage your friends and connections to do so. It is available exclusively from our website and I am offering a summer promotion to make sure as many people as possible can have access. All those who purchase ‘The Human Constraint’ between August 15 and September 15 will also receive a free PDF of our groundbreaking book ‘Sechel: Logic, Language and Tools to Manage Any Organization as a Network‘ (sells for $14.99). The Human Constraint explores the single greatest challenge any leader faces in an organization: creating a unified and systemic response to opportunity. Dr. Montgomery’s book, along with its detailed website materials, shines a light that guides us as leaders and managers toward a more sustainable and productive future. DAVID STRONG, PHD, DSC, LLD, FRSC PRESIDENT EMERITUS, UNIVERSITY OF VICTORIA CHAIRMAN AND CEO, STRONG EDUCATION LTD. RABBI CHAIM MILLER, AUTHOR TURNING JUDAISM OUTWARD-A BIOGRAPHY OF THE LUBAVITCHER REBBE, RABBI MENACHEM MENDEL SCHNEERSON, AND EDITOR OF THE KOL MENACHEM SERIES. The post The Human Constraint and Leadership Thinking appeared first on Intelligent Management.